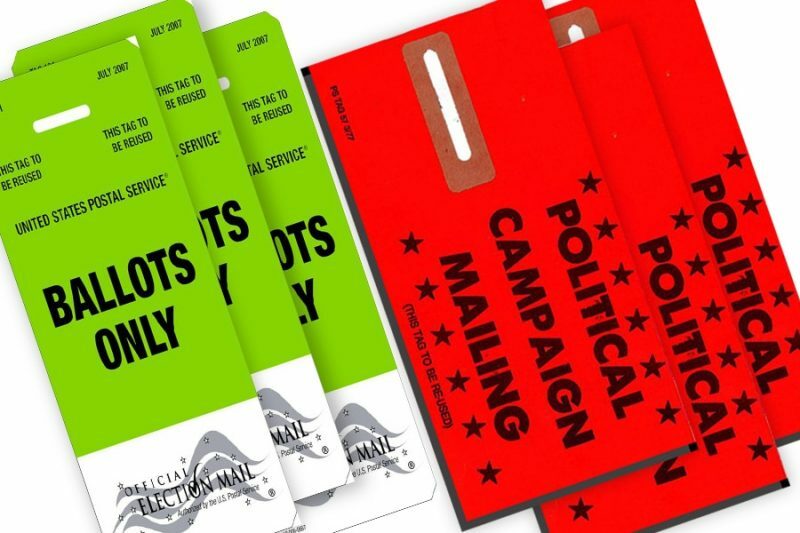 The Postal Service is reminding employees of the differences between the tags for Political Campaign Mail and Election Mail. Red Tag 57, for Political Campaign Mail, may be used on campaign mailings by registered political candidates and organizations engaging in issue advocacy or voter mobilization. Use Tag 191 to identify ballot mail only. Because Political Campaign Mail and absentee ballot mail are time sensitive, never delay processing it until the next day. If this mail isn’t identified with a tag, attach the appropriate tag before processing. Report problems with Political Campaign Mail or absentee ballot mail to your supervisor. The Election Mail and Political Campaign Mail site [on Blue] has more information. This entry was posted in Clerk Business, General Union Business, Mail Handler Business, Postal Reform and Politics and tagged ballot mail, election mail, Green Tag 191, mail processing, Political Campaign Mail, Red Tag 57. Bookmark the permalink.